Short, sweet, and packed full of punches, Marina Rocks' sophomore album is the kind of honest songwriting we've all been waiting for. "Stuck in the Mud," the album's opener, is the best redemption song you'll hear this side of 2013. And that's just for starters. Marina's songwriting would be enough to draw your attention by itself -- and it certainly has. She's won or has come close to winning songwriting prizes all over Texas, where the competition is no doubt stiff. 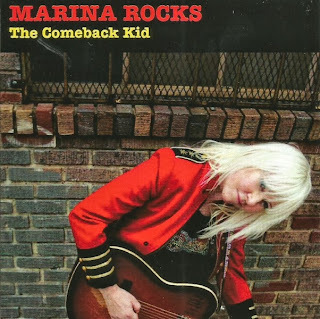 It's equal parts Bob Dylan, Patsy Cline, and Etta James...though, of course, it's Marina's passion that will get you to stop what you're doing and just listen. See for yourself below.